Painless Permanent Laser Hair Removal? You may have seen ads for laser hair removal that read something like "Virtually Painless Permanent Laser Hair Removal!" If these type of ads set off your alarms, then be aware that you're absolutely right to be skeptical. Many hair removal practitioners advertise the laser hair removal process as painless. Unfortunately for them, the FDA strongly disagrees and so does Hairaway Canada, a highly reputable laser hair removal provider in Markham. As stated in an earlier posting of ours, the sensation is akin to an elastic rubber band being flicked at the skin for a brief second or a pinch. How Does Hair Color Affect Laser Hair Removal Results! Hairaway uses the Light Sheer Diode laser system at its clinic in Unionville, Markham. We have found this system to be the best available anywhere in the world for Permanent Hair Removal. There are many different systems on the market but very few are capable of genuine hair removal. Laser is an acronym which stands for Light Amplification by the Stimulated Emission of Radiation. In essence, a laser converts the energy in electricity to high power light, of a single wavelength. At our Laser Hair Removal Clinic in Unionville, Markham we use the properties of specific wavelength and high power, to great advantage. Non laser light machines such as the IPL systems do not have these properties which make lasers so useful. Pigments in the hair and hair follicles absorb the light and this results in these structures becoming very hot.The heat generated kills the cells responsible for hair production and this is the reason permanent hair removal is possible. Only the best lasers are capable of destroying follicle cells without causing unacceptable damage to normal skin. It is therefore very important to remember that there must be pigment present in the hair. The pigment acts as the chromophore ( the agent absorbing heat and transmitting the same to the cells). If the hair lacks pigment, then no amount of heat generated by the laser will be absorbed by it and the cell will remain unaffected. Hair color is crucial to the success of the treatment and therefore people with white, blond and red hair are not candidates for the Laser Hair removal service we provide at our clinic in Unionville, Markham. If you have very dark hair, like black or dark brown, you are liable to encounter dramatic noticeable results, even after your very first visit and shall achieve a clearance of your hair in the treated area in a much more rapid manner than those who have lighter colour hair. What causes excess facial hair. What triggers excess facial hair in women? What causes excess facial hair? 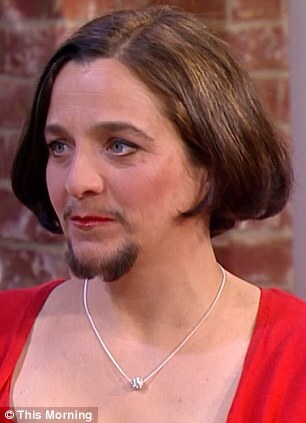 It's estimated that one in ten women suffers from excess facial and body hair. But what causes it? 'Sometimes race or just a family tendency to be more hairy is to blame, rather than any medical problem,' explains Dr Rina Davison, an endocrinologist from Whipps Cross University Hospital, London, with a special interest in excess hair. But there are other factors that could be to blame. Women normally produce low levels of male hormones called androgens, but an excess can trigger unwanted hair growth known as hirsutism. A common cause of hirsutism is Polycystic Ovary Syndrome, which has accompanying symptoms of acne, weight gain and irregular periods. Other, rarer, causes include a tumour on the ovary or adrenal gland as well as certain medicines including steroids. Rarely, a woman will have normal androgen levels and the cause of the unwanted hair growth will not be identified. Why You Can Give Up Shaving Forever With Permanent Laser Hair Removal at Hairaway Canada! For guaranteed permanent hair removal, Hairaway Canada uses the most advanced hospital grade laser at its clinic in Markham. We have found this system to be the best available anywhere in the world for Permanent Hair Removal. Laser is an acronym which stands for Light Amplification by the Stimulated Emission of Radiation. In essence, a laser converts the energy in electricity to high power light, of a single wavelength. In Laser Hair Removal we use the properties of specific wavelength and high power, to great advantage. Non laser light machines such as the IPL systems, which are commonly used and referred to as lasers by the service providers in Ontario, do not have these properties which make the lasers at Hairaway Canada so useful. So how does it work and why you can give up shaving with permanent laser hair removal at Hairaway Canada! Pigments in the hair and hair follicles absorb the light generated by the laser and this results in these structures becoming very hot. The heat generated kills the cells responsible for hair production and this is the reason permanent hair removal is possible. Only the best lasers are capable of destroying follicle cells without causing unacceptable damage to normal skin. The following is a cross section of a hair shaft and the cells. The melanin in the hair shaft transmits the heat to the cell and this causes the protein in the cell to denature. Once this occurs, hair production cannot occur and we can deliver permanent results. Hairaway Canada offers both Long Term, non guaranteed and permanent treatments at its clinic in Unionville, Markham. Call us on 905 479 8880 and make your appointment for a free no obligation consultation. You will have nothing to lose but your unwanted hair! Hairaway Canada. Permanent Hair Removal for Women and Men. Nothing Else! Gain back those two months of your lives with Hairaway Canada at the Laser Clinic in Markham. This chilly spring weather may be too cold to let us bare our legs for now. But it is only a matter of time before the summer days tempts us out of our tights - and force us to start defuzzing regularly once again. And it is not a prospect many of us relish, by all accounts. According to a new beauty poll, leg shaving comes top of a long list of most hated beauty chores, as 35 per cent of women say they despise depilation more than anything else in their beauty routine. But for something we loathe, we sure spend a lot of time doing it. The stuy revealed that during a lifetime British women spend 59 days - almost two months - carrying out this most hated task. The vast majority of women surveyed felt it was necessary to take off their leg hairs and on average women would spend four minutes, six times a week on the ritual - adding up to 21 hours every year. The second most detested beauty chore is hairstyling, the study found. Seventeen per cent said they hated having to do it but admitted spending 16 minutes every day teasing their locks into place which amounts to almost a year during their lifetime (294 days). The third most hated beauty chore was plucking eyebrows, which took 11 hours a year. Next was taking off make-up, which is hated so much by six per cent of British women, that they simply refuse to do it. The majority of women (68 per cent) begrudgingly remove their make-up daily but two fifths remove their make-up twice a week at most. Escentual.com Beauty Editor Emma Leslie, who carried out the research, said: 'Leg shaving was by far the most hated beauty chore for British women, but sadly most women felt they could not go without doing it.